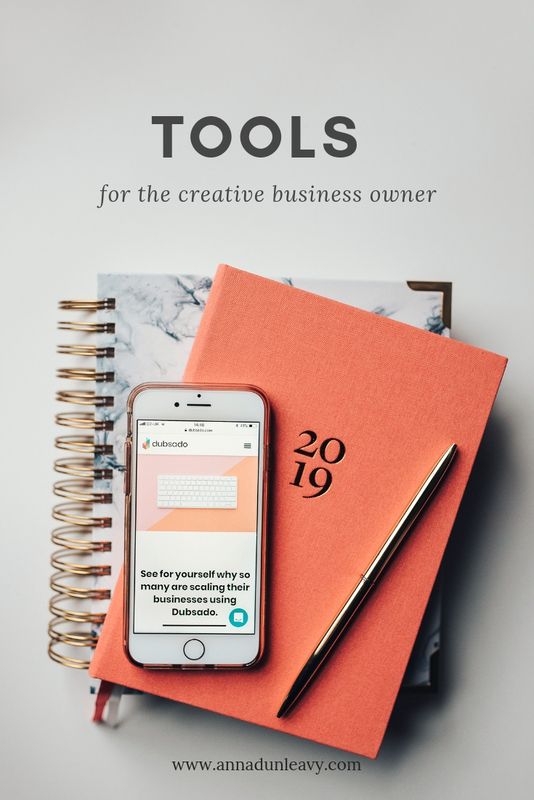 Over the last few years, I have used lots of different tools to help my business. When I first started, I relied heavily on spreadsheets, because it was the free option, for which I’m definitely grateful for! When you’re first starting out, you don’t want to spend money unnecessarily. You have to be careful about the expenses that very quickly accumulate, and so the free options are perfect for when you’re starting out. However, when your business starts to take off and you’re getting more and more busy, you have to find ways of streamlining your workflows to enable you to step away from the computer from time to time, which, let’s face it, we all want to do. P.S. the image above was put together using Canva! I use Dropbox on a regular basis, particularly when posting to Instagram. I upload the high resolution images from my computer, and use the phone app to download the images onto my phone and post to Instagram from there. It means that my photos don’t lose their quality - something that happens quite often if you screenshot an image, for example. It’s really easy to use, and if you’re smart about the amount of content you upload, you don’t have to get a paid version. In fact, I’m still using a free account and it’s served my very well! One of the tools that has been an absolute game changer for me is Dubsado. I will say, however, that it’s really a tool for service based businesses, as opposed to product based businesses. Other than my website hosting and editing software (oh, and the recent addition of Tailwind), it’s the only paid for software I use. Dubsado is a CRM system that allows you to manage your client contracts, proposals, invoices, all under one ‘roof’. There’s a few similar systems out there, with similar capabilities, but I was instantly drawn to Dubsado. The simple layout, as well as its relative ease of use, meant that it didn’t take me long to set up my workflows and be ready to go. The Dubsado team provide extensive help on their website, with helpful tutorials and webinars. But what really drew me in was their Facebook Group. I joined the group before I made the decision to purchase the annual plan, and I was instantly blown away by how wonderful their community is. Each query or question is answered not only by someone from the team (usually the awesome owners, who are a husband and wife team), but also loads of other Dubsado users, who have been there and done that. I find this an important aspect of the product, and have relied on it heavily when first setting up. Before the days of Dubsado, I used to use HelloSign to complete my online client contracts, but whilst being free (for up to three contracts per month), the whole process was very time consuming. Dubsado allows you to set up workflows that automatically trigger a sequence of e-mails. For example, when I first onboard a client, I need to receive their personal details. I do this using a booking confirmation form I set up within Dubsado. Once filled in, the client automatically receives an invoice and contract, prepared earlier using my templates. It means that I’ve been able to onboard clients on the go, as it now only takes a couple of minutes to set the job up. The system also allows you to send beautiful client proposals, as well as questionnaires to collect information prior to the job. I could honestly go on about the advantages of using a system like Dubsado. When I say it’s been a game changer, I truly mean it. If you would like to try Dubsado out, you can create a free account and onboard up to three clients, before you decide whether it’s the right choice for you. If, however, you’re ready to sign up straight away, you can use my discount code ‘pearandbear’ to receive 20% off your monthly or annual subscription. Yes - I receive money off too, but it’s a win win, right? Hit me up with any questions you might have, and don’t forget to join their Facebook group too, as it might help you decide if this is the right choice for you! Now, you might be wondering why I’m talking about Google Docs if I’ve just told you that I don’t use spreadsheets anymore. Well – I don’t! Not for keeping track of my client booking process. HOWEVER, I do use Google Docs to track where my bookings have come from, when I received them and whether the client booked or not. This is super handy when I come to analysing my marketing efforts. My spreadsheets show that since the start of last year, Instagram has been my biggest single source of enquiries for wedding photography. It means that my effort to stay consistent on Instagram is paying off, but it also shows that there’s room for improvement when it comes to other marketing channels. I keep track of this using the Google Docs app, making it easily accessible, even when I’m on the move. I’d love to hear about the tools that you use in your business - what’s the one thing you couldn’t live without? What’s the one app that you use almost daily? I’d love to know.